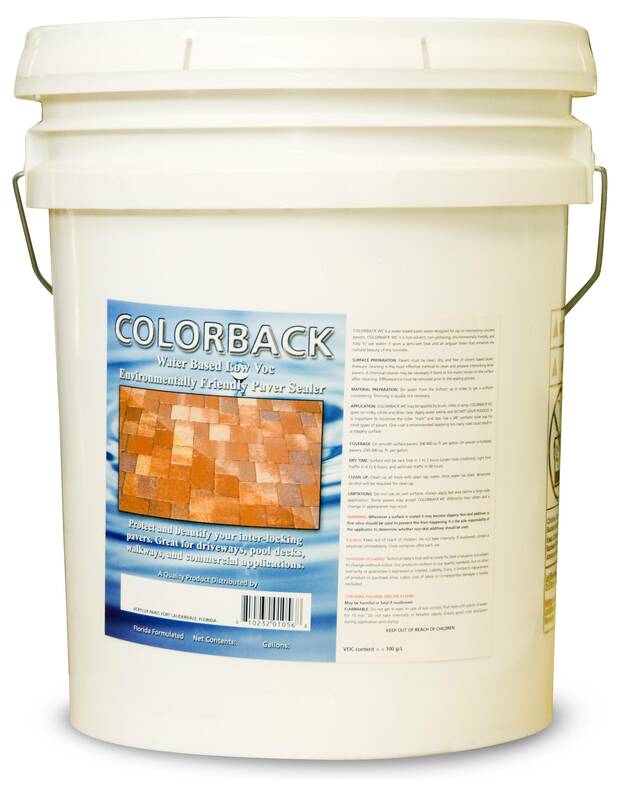 ColorBack Water Based Sealer is a low VOC environmentally friendly wet-look sealer. ColorBack Water Based Sealer is an environmentally friendly sealer that is design to protect and beautify concrete and paver driveways, walkways, pool decks and patios. It provides a low luster sheen (matt look), that will protect against UV fading, mildew formation and surface degradation. Now you can Go green and still have the ultimate in paver protection.